On January 14 the Spanish government launched a new, dedicated section on the Moncloa website to inform UK and Spanish citizens and businesses on how to prepare for when the UK leaves the EU. The new site http://www.lamoncloa.gob.es/lang/en/brexit/howtoprepare/Paginas/citizens.aspxis available in Spanish and English, and covers areas including residency, healthcare, voting rights and education. The Spanish government message on the website is clear: UK citizens living in Spain for more than three months must ensure they are correctly registered with Extranjería (the Central Foreigners Register), to obtain a registration certificate that will be useful in either a deal or no-deal scenario. 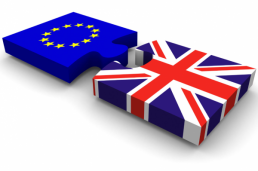 In the case of an exit with an agreement, the registration certificate will allow you to exercise your rights as set out under the Withdrawal Agreement. The website also says that in the event of an exit without an agreement, the registration certificate will allow British citizens to continue to live in Spain and obtain any new documents required by the Spanish immigration system. For further information on residency visit the British Embassy’s Living In Guide. The British Embassy and Consular network is continuing its programme of outreach events to prepare UK nationals in Spain for EU exit. To find an event visit gov.uk. If there is not an event near you, they will be holding a live Q&A on the Brits in Spain Facebook page in the coming weeks and they also recommend signing up for alerts from the Living In Guide to ensure you are getting the latest, accurate information.